You can “let down” into these words from God’s heart to yours. Listen to them with your spirit. Imbibe them deeply. Here where I live in Peru, insurance is not much of a thing. No one I know here has insurance on their house. No one has life insurance. No one has car insurance (actually, I hardly know anyone that even owns a car). In fact, I’m hard pressed to think of anyone in my circles here with any significant kind of insurance at all. If it hadn’t been for my experience of living outside of the United States, I would never have put much thought into the obvious contrast. Clearly, however, having insurance is a core value in the American culture, in a way that stands out as distinctive. We often feel like, through insurance plans and 401(k)’s, we can create a reasonable amount of security for our old age. Sometimes we even believe we can fashion our future with our own hands. This is a false illusion. Here is what my brother James has to say about putting too much stock into our own plans for the future: “Come now, you who say, ‘Today or tomorrow we will go into such and such a town and spend a year there and trade and make a profit’– yet you do not know what tomorrow will bring. What is your life? For you are a mist that appears for a little time and then vanishes” (James 4:13-14, ESV). Don’t get me wrong. I’m all for insurance, retirement plans, and wise preparation for the days ahead. I’m just saying, let’s not stake our life on them. Let’s not allow our sense of security to rest in our human planning skills. James pretty bluntly calls that out as “boasting in arrogance” (v. 16). The same God who created us is promising to sustain and carry us every moment of our lives until He takes us home! Now that’s a promise you can bank on. Thank you so much for that word I will hold dear to it. My husband and I are in our 60’s and God has called us to adopt two children. I just signed up for Medicare its for seniors here in the US. It was reassuring to hear this that God is in control. As we pour into these kids financially God will provide. I have allowed a bit of fear into my spirit until now, we hear so much from others that we are crazy doing this in our retirement days but we heard the call of the Lord so clearly we cannot deny it. 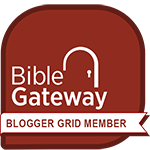 So again blessing to you for your faithfulness to continue to blog and allowing me to hear the Holy Spirit remind me He is in this with us. Wow, my dear sister, I am so very blessed to hear from you! I can’t tell you how much joy it brings me to know that this word from His heart was what you needed. I’m thanking Him! I’m truly grateful you took the time to write. And I’m so proud of your obedience to Him! You will see His hand move on your behalf in ways that amaze you!! Releasing the fullness of His provision and supernatural peace over your hearts and minds, in Jesus’ name!